Shingle Colors: Light, Dark or Neutral Tones? Your roof plays a big role in your home’s curb appeal. As such, it’s important that you pick the right color scheme for it. It’s not as easy as choosing between light, dark and neutral tones though. 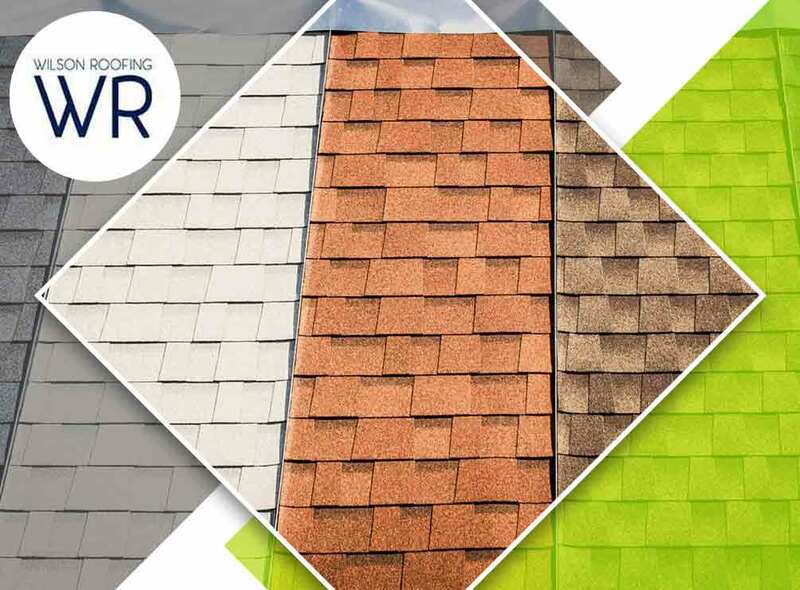 Wilson Roofing, your local roofing contractor, discusses factors and important considerations when choosing shingle colors for your roof. Should you choose dark or light shingles? Both options have their pros and cons. Darker roofs, while generally more attractive, are about 10 degrees warmer and may not be suitable if you live in a hot climate, as your roof will absorb more heat, which will require your HVAC system to consume more energy to cool your home. Light colored roofing shingles are “cooler” and can actually have a positive impact on your home’s energy efficiency. They are also easier to match with gutters and siding, but on the downside are more susceptible to stains. The roof shingles also need to correspond to the color of your home’s siding or bricks. Keep in mind that they don’t necessarily have to match. In fact, it’s common practice to contrast the siding and shingles. Red bricks, for example, contrast well with brown, yellow and warmer-color tones. Finally, you should consider the roofing material when deciding on the color. Cedar shakes tend to be restricted to wood stains and shades of brown. In contrast, asphalt, metal and even tile come in range of colors. As your local roofing company, Wilson Roofing will help you decide the best color scheme for your shingles. Call us today at (855) 501-2220 for more information on our services. We offer complete roofing services in Austin, TX.